Dr. Stefan Stahl and our PhD student Ilia Blinov are invited speakers at the 1st AVA Topical Workshop on "Detectors & Diagnostics for Low Energy Ion and Antiproton Beams", October 15-17, 2018, held at the Vienna University of Technology, Austria. Our BS/BSA series devices have been optimized for Quantum Computing applications. Further information can be found here. We are present as a sponsor at the WOLTE-13, the 13th Workshop on Low Temperature Electronics, September 10-13, 2018 in Sorrento, Italy. We are present as a sponsor at the QTech 2018, the Quantum Technology International Conference 2018, September 5-7, 2018 in Paris, France. We are present as a sponsor at the Neutrino 2018, the XXVIII International Conference on Neutrino Physics and Astrophysics, June 4-9, 2018, in Heidelberg, Germany. We are present with a poster presentation at the LEAP 2018, the 13th Low Energy Antiproton Conference, March 12-16, 2018, in Paris, France. Stahl-Electronics is a partner of the project AVA (Accelerators Validating Antimatter physics), which enables an interdisciplinary and cross-sector program on antimatter research. Within AVA, the project partners will carry out research across three scientific work packages: facility design and optimization, advanced beam diagnostics and novel low energy antimatter experiments. At Stahl-Electronics the project "Cryogenic Detectors for low Energy Particle Detection" will be carried out within a 3 year PhD position. 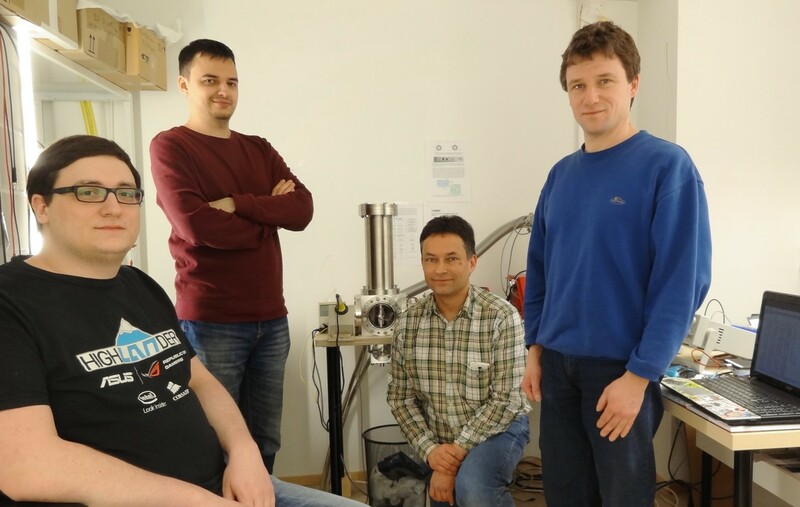 At the end of 2017, Ilia Blinov (standing on the left in the group photo) joined our Stahl-Electronics team as a PhD student with the aiming at the development of novel super-sensitive charge sensors, which will be used in Ion and Antimatter research. More information on the AVA website and in the YouTube video AVA - Nature (anti)matters. Stahl-Electronics will be present as "Silver Sponsor" at the Spin Qubit 3, the 3rd Conference and Workshop on Spin-Based Quantum Information Processing, November 6-10, 2017, in Sydney, Australia.